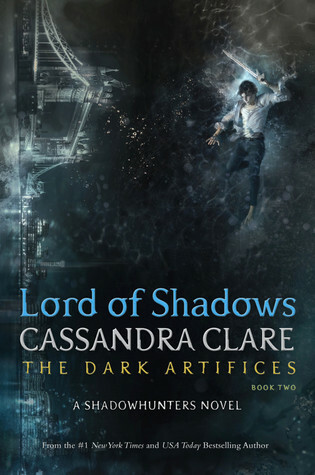 Warning: Read the entire Shadow Falls and Shadow Falls After Dark series (including the novellas) before continuing with this post. Midnight Hour (which will be released on October 25th) is the final novel in this saga, and you need to know what happens in previous books for this one to make sense. 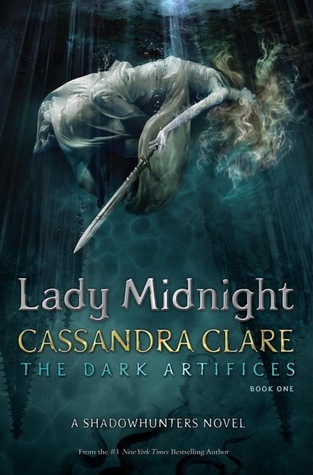 The novellas in Almost Midnight take place at different points in the series, so take a look at my post on that collection to see in which order you should read those stories. For those who are caught up with these series–or who’ve read any of the books–Miranda Kane is a familiar figure. (She got a taste of her own story in Spellbinder, a Shadow Falls novella.) This young witch counts Kylie Galen (chameleon) and Della Tsang (vampire) as her best friends, but she’s always felt that she doesn’t measure up to her super-powerful roommates. In Midnight Hour, Miranda begins to understand just how powerful she really is. It should have been a simple visit to a fortune teller. Miranda goes along with her sister, Tabitha, to get a peek at her future, and her whole world–almost literally–explodes. When Miranda wakes up after a strange explosion, she’s got a weird tattoo that comes and goes, and she and her sister are being investigated for drug trafficking. What have they gotten themselves into, and is there any way to clear their names and figure out what exactly is going on? 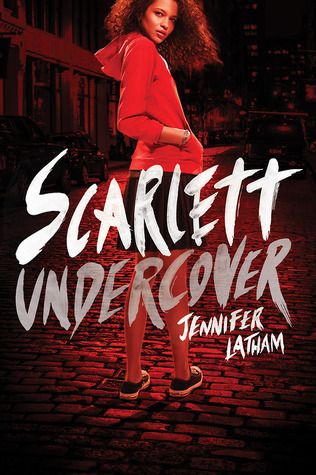 With the help of their friends and the FRU (Fallen Research Unit), the hunt for answers is on, but Miranda not like where all of them lead, especially when her beloved sister goes missing. While Miranda attempts to make sense of her new, unwanted body art, the explosion that knocked her out, her missing sister, and so much more, she’s also trying to come to terms with her own love life. She’s currently dating Shawn, a warlock and FRU agent, who is perfect for her on paper. But she’s still hung up on Perry, a shapeshifter and her ex-boyfriend…and the guy who’s already broken her heart twice. She knows Perry had his reasons, but they don’t make things any easier. And when he walks back into her life, her emotions go into yet another tailspin. She can’t deny her feelings for Perry, but what’s to stop him from walking away from her yet again? As for Perry, he is determined to earn his place in Miranda’s life. There are just a few things he needs to take care of first. The investigation that took him away from her is heating up, and it may have connections to the explosion that landed Miranda in the hospital. It also involves the family that abandoned him long ago. Perry wants to put all of this to rest, for both himself and Miranda. But this whole situation is more convoluted than he could have guessed, and it seems Miranda is at the center of it all. Miranda doesn’t understand why she’s in the middle of this madness, but she better figure it out quickly. What does this strange tattoo have to do with her powers? Why does she suddenly have an odd connection to the trees around her? What does this mean for her future, and can she use her new abilities to find her sister and put an end to the danger surrounding them? 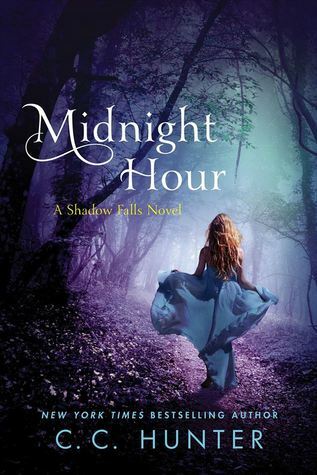 Find out how Miranda takes charge of her own power when you read Midnight Hour, the final installment in the Shadow Falls world by C.C. Hunter. I hope I’ve given you enough highlights here to whet your appetite without giving too much away. There’s a lot going on in this book, and I didn’t touch on most of it. Midnight Hour is as rich and entertaining as its predecessors, and it provides a satisfying ending to a series that I’ve loved since the first book. If you’re interested in purchasing Midnight Hour, I’m happy to pass along an added incentive from the publisher. If you preorder Midnight Hour before October 24th (tomorrow) and send your e-receipt to St. Martin’s Press at this link, you’ll receive a free short story, Fighting Back, in your email on October 25th. And that’s not all, folks! I’m also pleased to offer a chance at a sweepstakes giving away Midnight Hour swag. Enter here for your chance to win a signed set of the Shadow Falls books and a lot of other cool stuff. If you’d like to know even more about the Shadow Falls books and C.C. Hunter, be sure to visit the author’s website. You may also want to check out the Midnight Hour book trailer below. 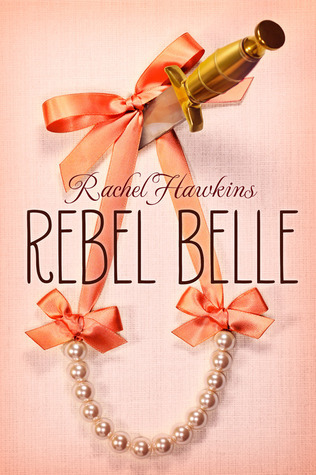 This book has been on my radar for a while, and this weekend–while avoiding everything I probably should have been doing–I dove into Rebel Belle by Rachel Hawkins. Rebel Belle is the first book in the series, and books two and three, Miss Mayhem and Lady Renegades, are already out. Given how much I fancied book one, I can assure you that I’ll check out the rest of the series. Harper Price is the epitome of a Southern belle. She’s confident, popular, intelligent, refined, and she works to make her school the very best place it can be. She’s also a shoo-in for Homecoming Queen. On the night of the Homecoming dance, however, Harper’s world changes in the blink of an eye. After an alarming altercation with the school janitor and her history teacher, Harper finds herself with strange new abilities. She’s basically a super-powered ninja with better fashion sense. But why does she have these powers? What is she supposed to do with them? As it turns out, Harper is now a Paladin, a guardian traced back to the rule of Charlemagne. What exactly is she guarding, though? Well, Harper soon finds out that she’s charged with protecting David Stark, her nemesis and, apparently, an Oracle. Neither Harper nor David is thrilled with this odd turn of events, but they eventually come to realize that they have to work together, despite how much they’ve loathed each other in the past. While Harper and David seek to understand more about this whole Paladin-Oracle business, they begin to uncover secrets that shake the foundation of everything they’ve ever believed…about themselves and those around them. Thanks to David’s rather murky prophecies, they realize that something awful is on the horizon, and they can only put their trust in each other to figure things out. A relationship that was once filled with nothing but animosity is quickly becoming something more. How can Harper reconcile her growing feelings for David with her desire to return to her normal life (including her practically perfect boyfriend)? Is “normal” even a possibility now that she’s a Paladin? What will she have to face in her quest to protect David, and will her efforts be enough? Find out what happens when you mix supernatural forces with a tenacious Southern girl when you read Rebel Belle by Rachel Hawkins. Rebel Belle is a great pick for middle grade and teen readers who are looking for a fun read filled with mystery, magic, and mayhem. I’m pretty sure that all readers will root for Harper and David to get together, and they’ll enjoy the winding path they take to get there. I can only hope that the other two books in this trilogy are just as entertaining as this first offering. To learn more about the entire Rebel Belle series and Rachel Hawkins, you can connect with the author on Tumblr and Twitter. This book, suitable for upper elementary grade readers on up, is a fantastical tale full of mystery, peril, and riddles. 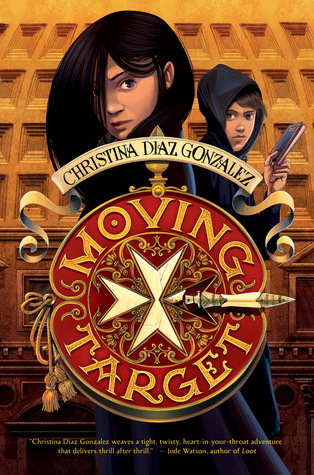 It’s a great book for those readers who’ve exhausted the Harry Potter series and are looking for something similar. And given how this book ended, I’m hopeful that we’ll see more of Gabriel Finley and friends in the future. I barely touched on my favorite part of this book–the riddles. To a word nerd like myself, they were fun and entertaining, and I loved that saving the world in this book relied more on using one’s brain than relying on brawn. I’m hoping my students have as much fun as I did figuring out the answers to the riddles, and I think reading this book could lead to readers crafting their own riddles. As of right now, there’s no word on future Gabriel Finley books, but I’ll definitely be on the lookout. There are several mysteries in Gabriel’s life that are yet to be solved, and I, for one, would love some answers. 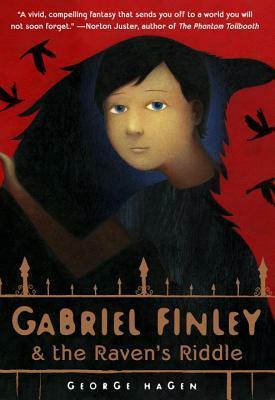 In the meantime, if you’d like to learn more about this great fantasy, visit the Gabriel Finley website. Enjoy! Warning: Read Serafina and the Black Cloak before proceeding. Spoilers ahead. 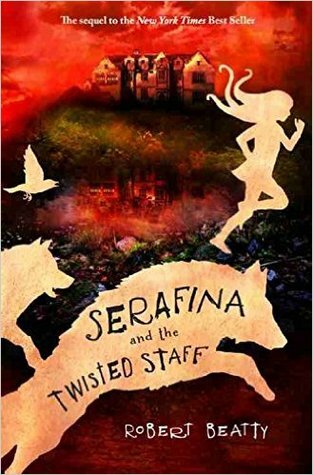 Late last night, I finished reading Serafina and the Twisted Staff, the sequel to Robert Beatty’s acclaimed Serafina and the Black Cloak. I kind of knew what to expect going into this second book, but I don’t think I was prepared for exactly how terrifying it would be. If the first book was dark, this one was pitch black. I read the bulk of this book at night, and I was jumping at every little sound I heard. (If you know me at all, this is not surprising. I’m a wuss.) At any rate, Serafina and the Twisted Staff definitely delivers if you’re looking for a good story and a good scare. Our tale begins almost immediately following the events of the first book. The year is 1899, and the Biltmore Estate is beginning preparations for Christmas. Serafina, now known to all who inhabit the Biltmore, is searching for her place in the world, but she doesn’t know exactly where she belongs. Is it with Braeden Vanderbilt and her pa at Biltmore? Or is it with her mother and the catamounts in the surrounding forest? And how can she possibly find a measure of peace when her home is once again in danger? While patrolling the forest surrounding Biltmore one night, Serafina notices that animals are fleeing the area. What could possibly make so many animals behave so oddly? Serafina isn’t sure, but she thinks it has something to do with the strange man and his vicious wolfhounds who attempt to kill her. She’s saved by her mother and a new ally, but it’s clear that the forest is no longer safe…for anyone or anything. Serafina knows the old man in the forest is not working alone. He comes onto the scene at the same time that a mysterious carriage arrives at Biltmore. But who is in the carriage, and what danger could this person be bringing to Biltmore? As odd things begin happening at the palatial estate–and Serafina is blamed–she grows more convinced that danger is afoot, but she doesn’t know how she can help. Someone is trying to drive Serafina out and tear her from her one and only friend. But who? And why? Serafina leaves Biltmore and tries to find some solace in the forest, but danger surrounds her on all fronts. She soon realizes that there’s no way to escape the horror unfolding, and she will have to do everything in her power to save both Biltmore and everything and everyone around it. Who will join her in the fight to come? Who will betray her? And will Serafina finally be able to unleash her true self before the evil forces targeting Biltmore succeed in their ghastly mission? Read Serafina and the Twisted Staff to find out! I’ve left a ton out of this post, but it would take forever to cover everything. I don’t have that kind of time (and I’m ready for my Sunday afternoon nap). Read the book for yourself. You can also check out the official book trailer below. It’s a little spoilery, but it covers a lot of what I’ve left out. Given how this second book ended, I’m confident that we’ll see more of Serafina in the future. At this time, however, there’s no word yet on a third book. For more Serafina fun, visit author Robert Beatty’s website or connect with him on Facebook and Twitter.